The relaxed style and functional designs of this chest of drawers will make a practical addition to your child's bedroom. Clean lines, simple knob hardware and the Amber Wash finish composes a warm and casual look, while four drawers provide room for clothing accessories. 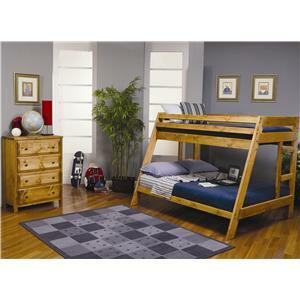 Arrange with a coordinating bunk bed for harmonious look. 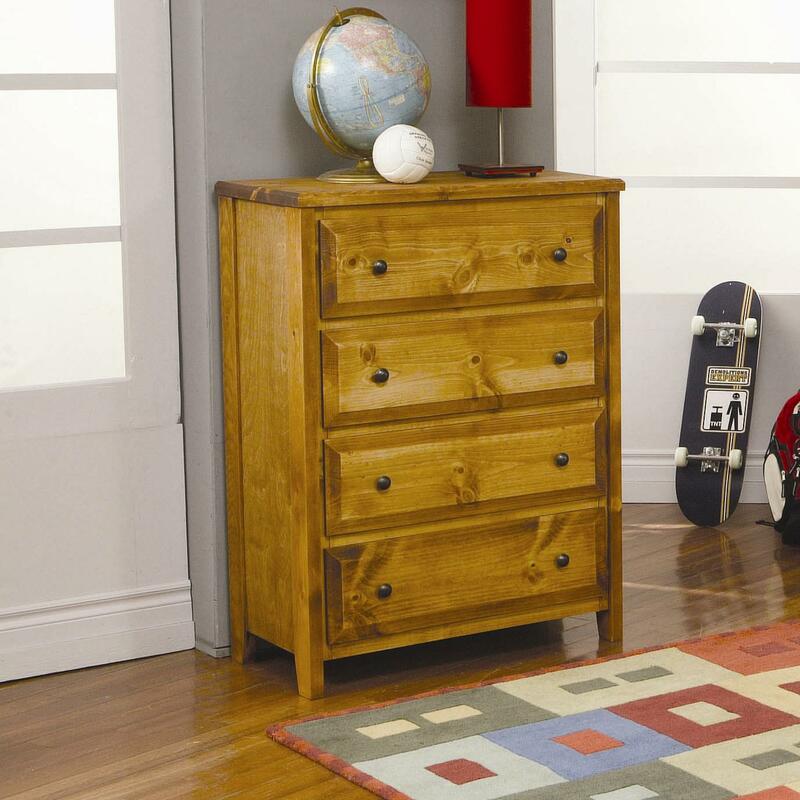 The Wrangle Hill 4 Drawer Chest by Coaster at Value City Furniture in the New Jersey, NJ, Staten Island, Hoboken area. Product availability may vary. Contact us for the most current availability on this product.